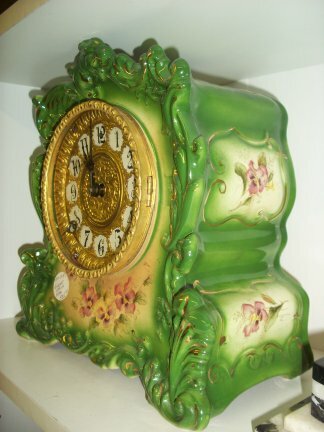 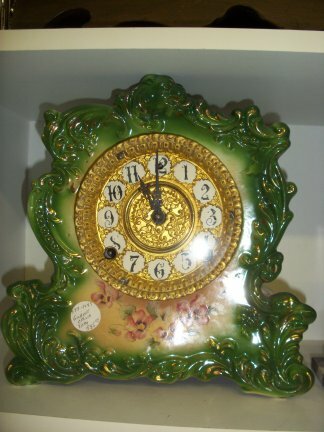 This is a China clock made by the Gilbert clock company. 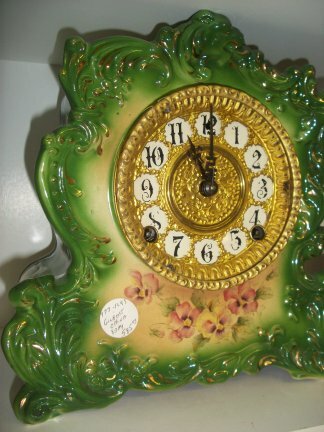 It has an 8 day time and strike pendulum movement. 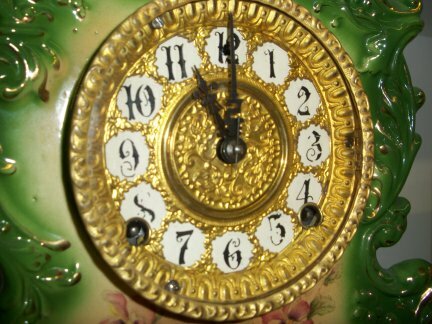 View of other side of clock.